The venture capital markets are flush with capital. We’re approaching the heady days of the dot com era. In that epoch, despite the record volumes of venture dollars, startups went public quickly, in 4-5 years. Today, that timeframe is no longer realistic. In fact, the surfeit of private dollars delay IPOs. From 2000-2005, the “typical” IPO-bound startup listed on an exchange 5 years after founding. 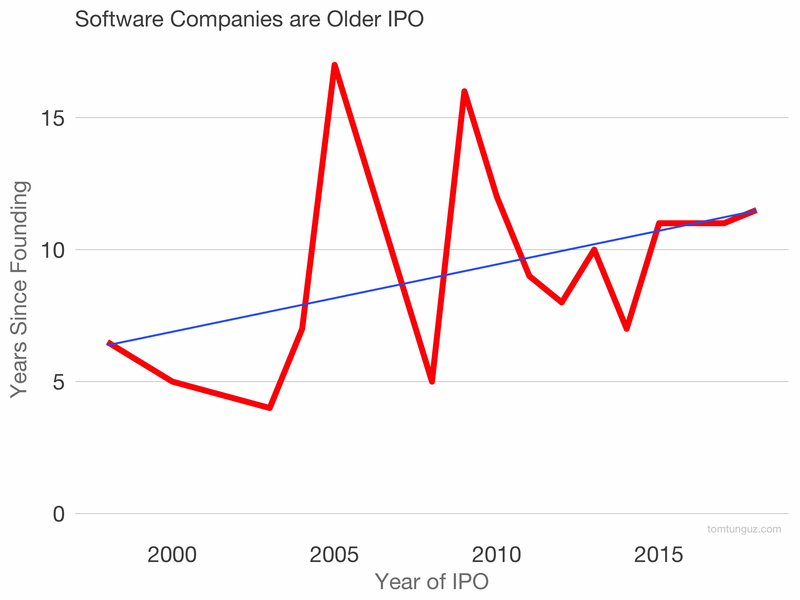 After the Lehman collapse and the crisis of 2008, the IPO closed, and startup age spiked to 16 years median. Since then, the trend has continued. 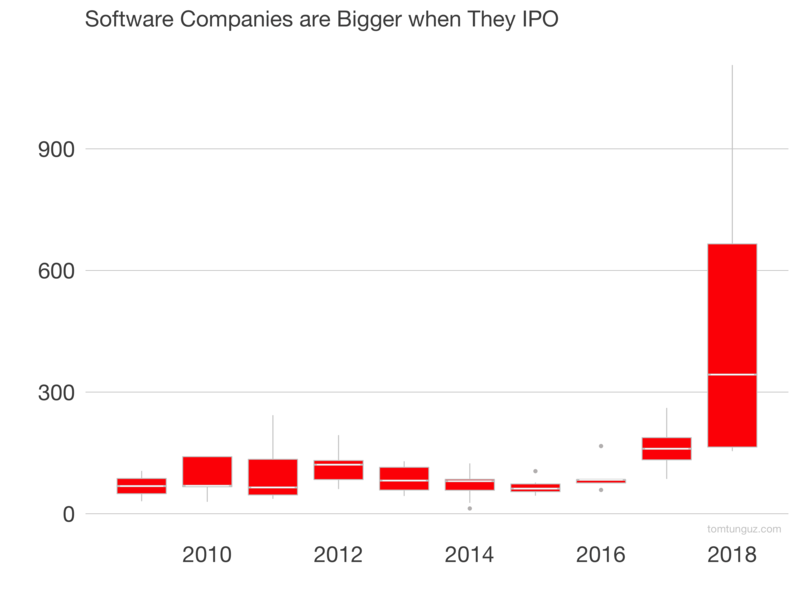 2017 and 2018 IPO startups are 11 years old when they do go public, more than double the early aughts. The corollary to delayed IPOs: great companies age like bacterial colonies. They grow bigger with time. In 2017, the median company generated more than $160M in revenue. In 2018, the median IPO generated more than $340M. Will this trend continue? If the private markets remain flush with capital, it’s very likely. Startups raise at better multiples in the private markets than the publics. The same amount of capital at less dilution is a compelling proposition. But at some point, you want to move out of the basement. The liquidity and cachet of being public still trumps the marginal reduction of dilution.